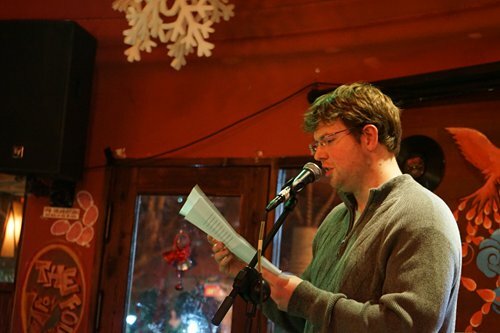 Fifteen aspiring writers and literary enthusiasts of varying nationalities read their essays aloud during a recent open-mic night organized by The Shanghai Literary Review (TSLR), a new publication founded to give a platform to artists and thinkers in this region as well as to help others elsewhere better understand the city and its literary heritage. Juli Min, editor in chief of TSLR, said during the launch event at Yuncai Café that she was thrilled to see so many - nearly 70 participants - show up to support such a young publication. "This is exactly what we wanted to start, a community for writers and literature lovers," Min said. 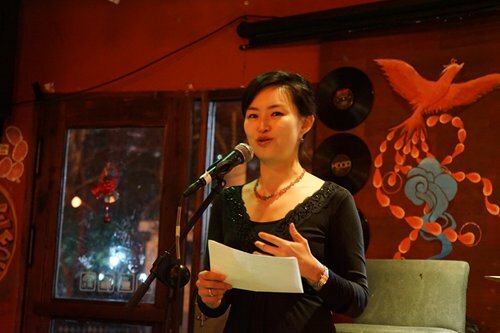 Min founded TSLR in 2016 due to what she and others perceive as a lack of connectedness among Shanghai-based Chinese and English writers and artists. "Shanghai needed a center to its literary community," Min said. "We wanted a place for dialogue between new artists in one of Asia's most powerful and cosmopolitan cities and the literary world at large." Presently there are four editors responsible for the review, with three based in the city and one in New York. 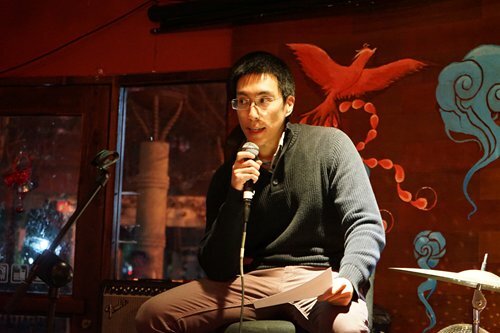 Kenny Ong, its nonfiction and visual editor, lives in Shanghai and writes about popular culture and politics. Ong received a Master of Fine Arts degree in Creative Nonfiction Writing from Columbia University and works as a copywriter. 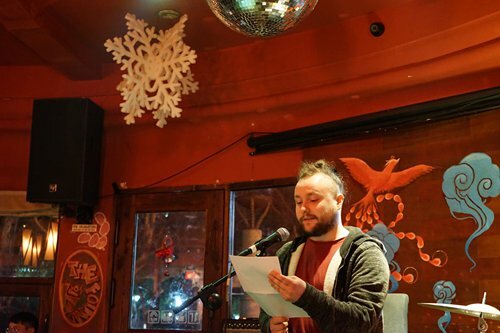 Ryan Thorpe, the review's fiction and poetry editor, is a creative writing lecturer at the University of Michigan-Shanghai Jiao Tong University Joint Institute. 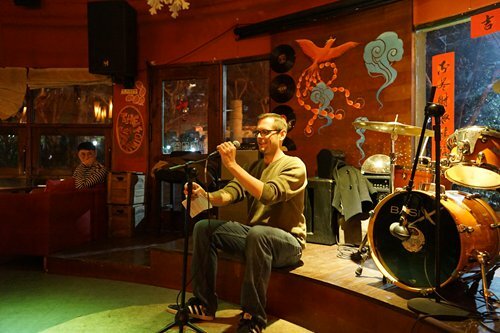 He has a PhD in Creative Writing from Oklahoma State University and he is currently working on a creative writing textbook. Juli Min, editor in chief, lives in Shanghai and is a lecturer of writing at Hong Kong University of Science & Technology. Of Korean heritage, she is presently writing a memoir about her time as a KPop trainee. Speaking on behalf of TSLR's translation editor, Brooklyn-based Mike Fu, Min told the audience that even though they live and work on opposite sides of the world, the editors believe in art that transcends borders. "Because it's important to stay relevant and global; our magazine isn't just about Shanghai for Shanghai, or about China for China. We're more interested in exploring this moment in time rather than a specific place. To maintain connections with the literary world at large, especially in New York, an epicenter for new literature and art is also the reason," she said. Min hopes to introduce writers living in China to a global audience as well as bring international writers to a readership here in China. TSLR thus is intended as both an online platform for those abroad and will also be available in print form for readers in Shanghai. The review accepts submissions year-round and will publish two physical magazines twice a year, in the summer and winter. Their first submission deadline is March 11, 2017. There is no fee for submitting one's work. 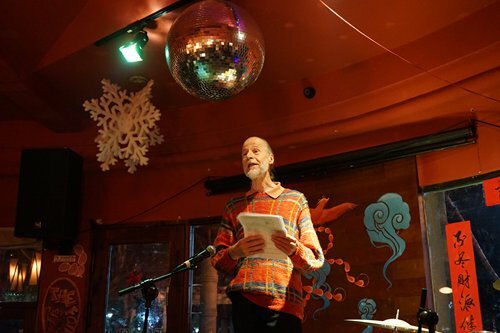 Topics such as art, urbanism, globalism, identity and transnationalism are encouraged in any form, including fiction and nonfiction, poetry, visual arts (painting, photography), translations and book reviews. "We hope our collections will feature the beauty, fissure, and complexity of art emerging from this new globalization," TSLR's website says. For more information on submissions, visit The Shanghai Literary Review at https:/www.shanghailiterary.com/.